In September, we highlighted for you 75 free audio books available on Spotify--books written by the likes of Jane Austen, James Joyce, Charles Bukowski, Franz Kafka, Kurt Vonnegut, Edgar Allan Poe, Jack Kerouac, Sylvia Plath, William Shakespeare & more. Peruse the complete list here. 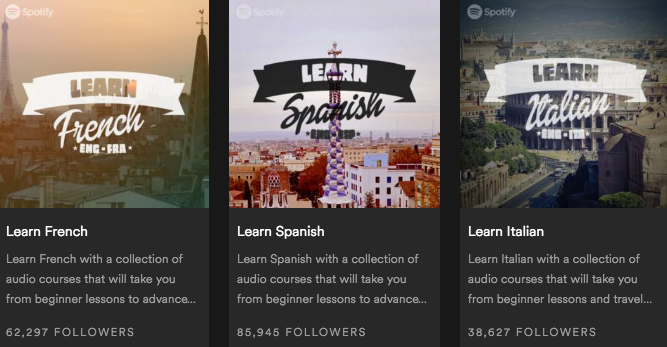 You can find many more lessons, covering many more languages, in our collection: Learn 48 Languages Online for Free: Spanish, Chinese, English & More. Our list covers everything from Ancient Greek and Dutch, to Thai and Yiddish. You should correct “Portuguese” to “Brazilian Portuguese”. Is the German being taught high or low? I’d assume it to be Standard German, any other assumption would be preposterous.